Zyuranger 15 with Mega Anon! Thread: Zyuranger 15 with Mega Anon! This episode is pretty darn rad. Goushi gets to steal the spotlight and we get a bit of his back story. 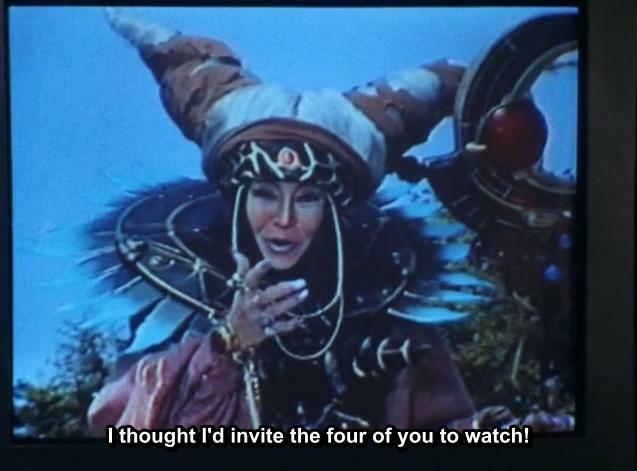 This is also another episode that really shows off just how evil Bandora is. It also shows how silly Zyuranger can get, but for me that’s just icing on the awesome cake. The monster design is pretty straightforward and incredibly awesome to boot. Make sure to take a look at the Bandora is flipping through in the beginning, it has all the Dora Monsters up to this point in it, including Djinn and DonDon! Now’s an excellent time to catch up because I think you all know what’s just around the corner and you definitely don’t wanna miss it. Also, do not try jumping into your TV. It won’t work, trust me.